For Webelettronica, Mechanical Design means meeting the most varied requests, from the analyzes and feasibility studies to the design and construction of prototypes, with interventions on existing projects, completing studies, lay-outs and special equipment in the most varied sectors. 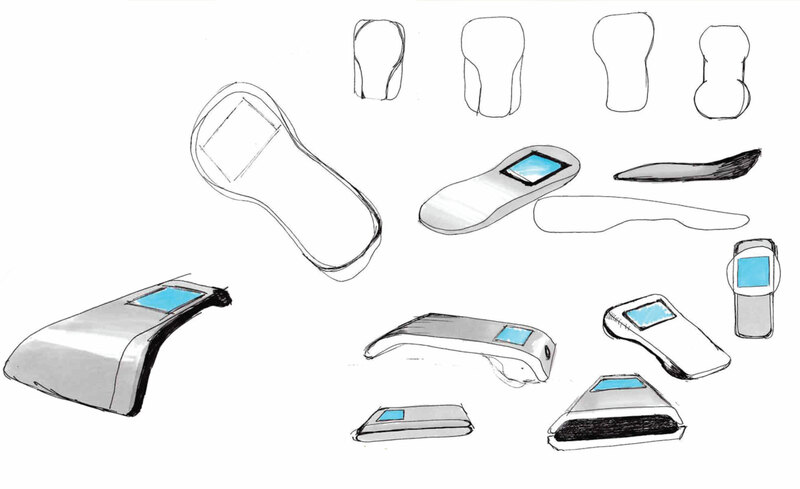 From the project to the 'turnkey' prototypes. Mechanical design, complete development of new and optimization of existing products. To design a suitable form for the company needs, is the goal that needs to find the final solution. Analyzing the information proposed by the company, many ideas were developed that were born from simple reflections and turned into some descriptive sketches. The next step is to identify and choose the idea that more than others centers the goal to be achieved. This tool comes from a selection of shapes created to satisfy a practicality of the object combined with modern and functional ethics. 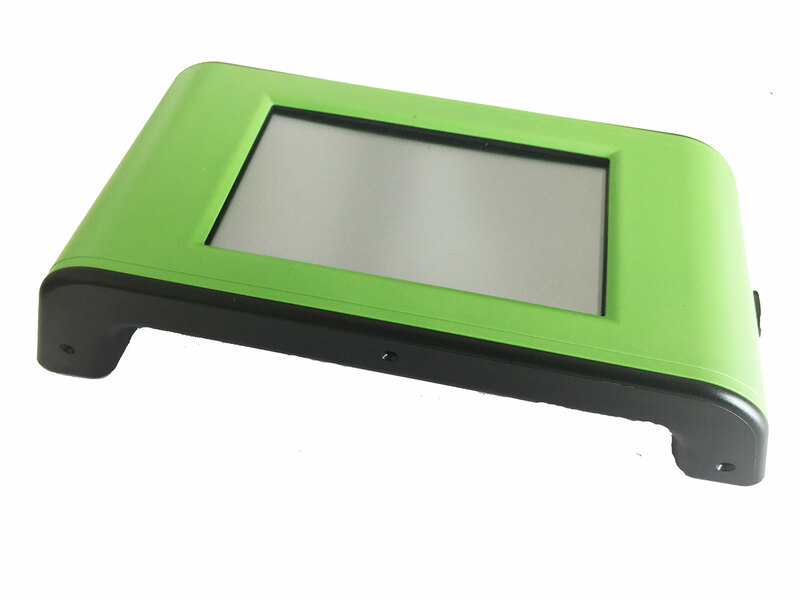 It is composed of two elements that are inserted between them, a top cover and a base body. Inside is the motherboard that supports the electronic components, with a touch screen monitor that allows an optimal interaction between the operator and the instrument. A system of graphic icons facilitates the use through a software that is within everyone's reach. During the validation of the prototype a structural and dimensional verification of the starting project takes place. 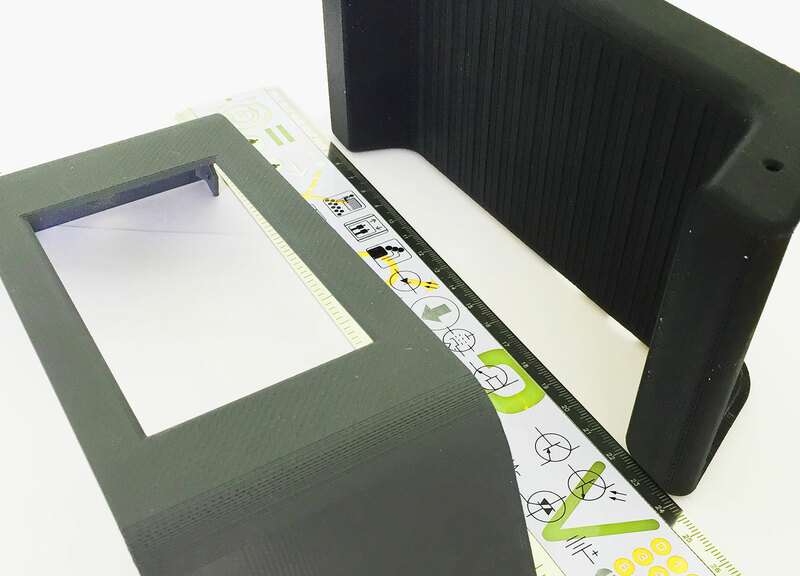 A first prototype is created with 3D printing and it is verified that, all the dimensions are in conformity with the original project, the enclosure effectively reflects the required structure and that it correctly manages to contain the electronic card. 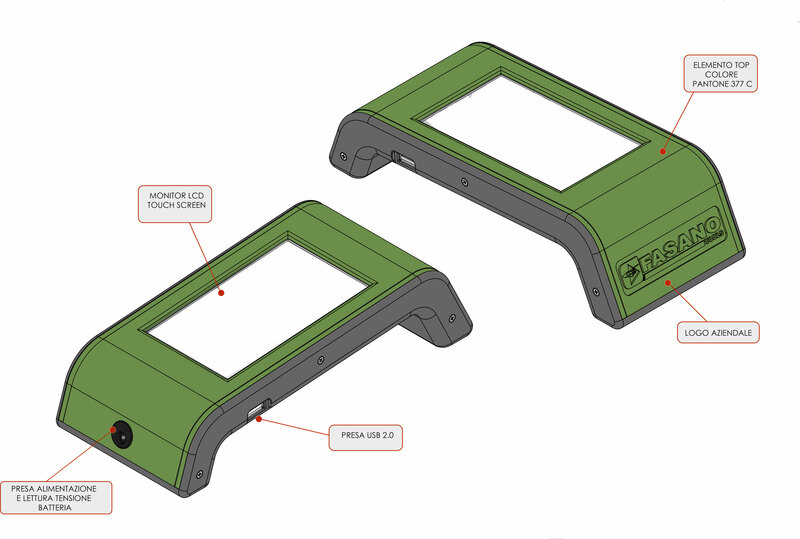 In the case study in question and for many other projects, the design of a plastic injection mold was requested. 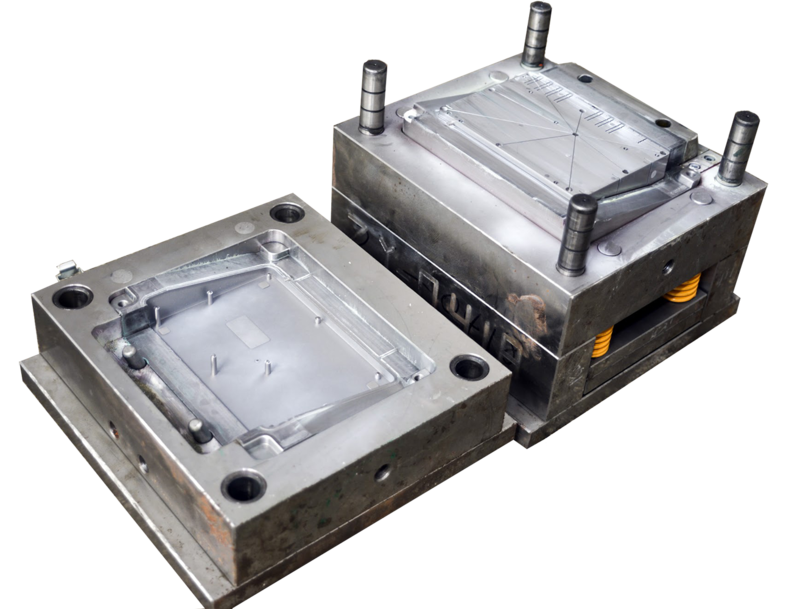 Such a mold requires the design of two distinct molds mathematical (an upper part and a lower part), which joined together create the negative of the object to be realized. Thus creating a cavity in which the molten plastic will go to stay. During the Technical Functional Testing we start from the total assemblage and carry out durability tests. On the pre-series it is verified that all the technical, structural and dimensional characteristics are respected so to proceed with the final production of the project.